At Tripoli —Part II – Fix Bayonets! Water was the most economical way to transport goods. An emerging United States had things to sell, but getting these goods to market may have entailed sailing them through the Mediterranean Sea to a buyer. Presidents Washington and Adams were among those who reasoned that paying tributes was cheaper than fighting wars —even when paying tribute was no guarantee at all for the safety of ships, crew, or cargo. 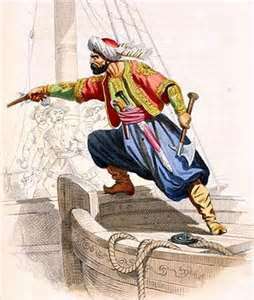 It must have occurred to the various heads of the Barbary States that from their perspective, piracy was a very worthwhile investment and worth the risk. Moreover, if the Americans were willing to pay some amount of money in tribute, perhaps they would be just as willing to may more and so the price of tribute for return of US ships and crew (never what was in the ship’s hold) kept going up. The First Barbary War was nothing if not anti-climactic. Yes, Jefferson did achieve a peace with Tripoli, but his rules of engagement were too restrictive, the conflict took too long, and the result was dishonorable. We sent Consul-General/Navy Lieutenant Eaton to solve the problem. In solving the problem, Eaton made an agreement with Hamet Karamanli. The United States government reneged on its (Eaton’s) agreement. Of course, one may argue that Eaton exceeded his authority in making such agreements with Hamet, but that is quite beside the point. Having commissioned Eaton to solve the problem, his words must be honored as much as if Jefferson himself had spoken them. He may have been speaking about the alliance between Great Britain and Algeria. With the outbreak of the War of 1812, the British turned to their Algerian allies and urged them to declare war against the United States —which is, of course, exactly what the Algerians did. But for the present time, the Algerians would have to wait their turn. With the British blockage along the Atlantic seaboard, American trade anywhere within the Mediterranean came to a halt. President Madison did request that Congress declare war on Algeria, and this authorization came on February 23, 1815. 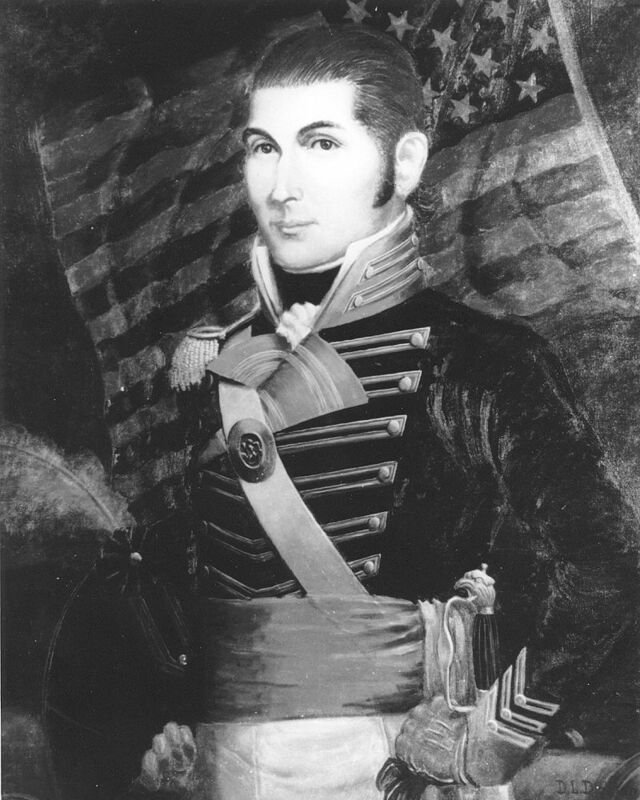 On May 20, 1815, Commodore Stephen Decatur led a ten-ship squadron to Algiers; an even larger force commanded by William Bainbridge was close behind. Operating off the Algerian coast on June 17, 1815, the frigate USS Constellation drove the 44-gun frigate Meshuda (flagship of the Algerian Fleet) directly into the guns of Decatur’s flagship . With two broadsides, everyone on Meshuda not already killed or dying fled to below decks and the flagship surrendered. Algeria’s senior-most naval commander was among the dead. Two days later, USS Guerriere led the squadron in driving a 22-gun brig ashore. USS Guerriere arrived at Algiers on June 28, 1815 —prepared to capture every Algerian ship that entered port unless the Dey of Algeria ratified the terms of a peace treaty sent ashore to him on June 30th. The treaty was ratified. Next, USS Guerriere led the squadron in a show of force that resulted in a peace settlement with Tunis on July 13, 1815 and with Tripoli on August 9, 1815. There were no amphibious landings during the Second Barbary War —no long marches through a sweltering desert, no engagements where the officer commanded his men, “Fix Bayonets!” But this isn’t to say that the Marines were not fully engaged as part of ship’s company. Wherever the Navy went, they took their Marines with them. If Stephen Decatur departed New York with ten ships, then he also took with him ten Marine Detachments. It might also be interesting to note that in 1800, the U. S. Marine Corps consisted entirely of 25 officers, 343 enlisted men. In 1810, the strength of the Marine Corps was 10 officers, 513 enlisted men. 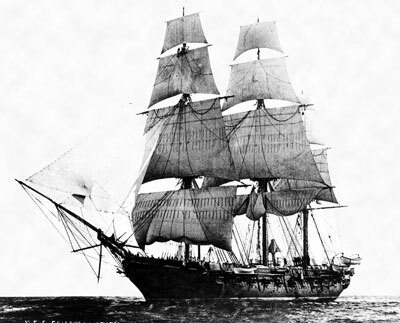 Marines had four duties aboard ship: provide musket fire aboard ship in combat when opponents were in close proximity; provide boarding parties when the order was given to assault an opposing vessel; provide a landing party when ordered to go ashore; provide sentries outside the captain’s cabin and at such other places as the ship’s commander deemed necessary. The Marine Detachment Commander had two masters: he reported to the Commandant of the Marine Corps in matters relating to professional fitness, training, supply, pay, and the discipline of his men. He reported to the Ship’s Captain for the daily employment of his Marines. The Detachment Commander was more likely as not a first lieutenant; his second in command was a second lieutenant. It is likely that a Marine Captain served aboard the squadron or fleet flagship as principal advisor to the commodore. So —while true that the Second Barbary War lacked drama and heroic demonstrations of the earlier conflict in Tripoli, it was nevertheless an important gain for American prestige and an excellent demonstration of the skill of the United States Navy. Finally, the United States realized that while the Barbary States had witnessed an important demonstration, they were, after all, Mohammedans who are famous for breaking treaties. In 1816, Algeria attempted to renege on their agreements and President James Madison wasted no time deploying US squadrons to the Mediterranean Sea. 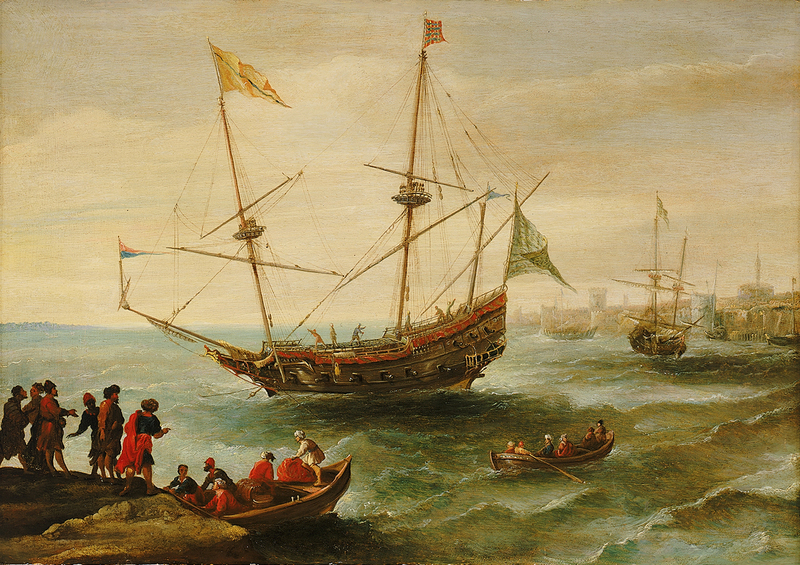 In August of that year, a combined British-Dutch fleet attacked the city of Algiers, forcing the Dey to release over 1,000 European slaves. Still, several European states continued paying the Algerians tributes through 1822 and, no surprise, the piracy continued through 1830. Amen, Angel. And God bless you too, my first responder friend. Your story on history here begs the question of how our incompetent “leaders” could expend so much time and expense to negotiate a deal with unscrupulous countries. I guess their reward is distraction and press coverage. I did not have a clue as to the extent of the US Navy’s involvement with these pirates – nor of the continuing small size of the US Marine Corps at this time. Ten officers in 1810 is unbelievable even given the much smaller civilian population. A question: were these Marines on board manning the cannon or was it left up to the sailors as it was not directly mentioned? Of course, contrary to what you may have heard, I was not on active duty in these days of sailing ships when the crew beat to quarters. I do know that 80-90% of ships crew were trained in gunnery and I would be surprised if the Marines did not also receive that training. It is likely Marines replaced killed or wounded gunners unless the Marines were concurrently engaged in a musket or rifle assault upon the opposing crew. I never fully appreciated the service the US Marines endured while on board a ship. Mr. Johnson opened my eyes – and heart – to those Marines. The primary reward of the Washington crowd is reaching into your pocket. Excellent post, as usual. I love visiting your blogs! Very educational. How can anyone expect a group of people to change who have not done so in 2,000 or more years. They’d have to have no information and be unwilling to go look for some. There was a time I avoided reading things about the Israel and Palestine conflicts (I knew this would go on forever), but when something starts to affect your directly, you must educate yourself so that you can vote, vote with your wallet, and support or not people asking for support. Patton read Rommel’s book on tank warfare.